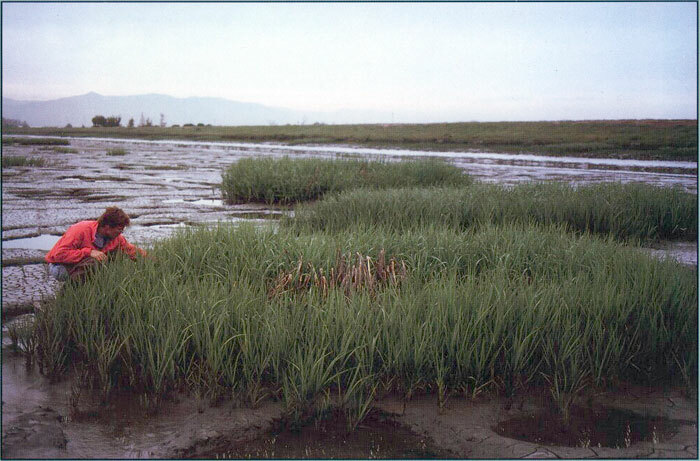 Vigorous spring growth of introduced Spartina alterniflora on a mud flat in South San Francisco (California) Bay. 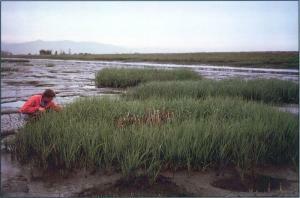 This invasive grass threatens to reduce shorebird feeding areas and clog flood control channels. Individual genetic clones, seen as distinct circular patches, have highly variable seed set, which will probably influence the future genetic composition of this population.